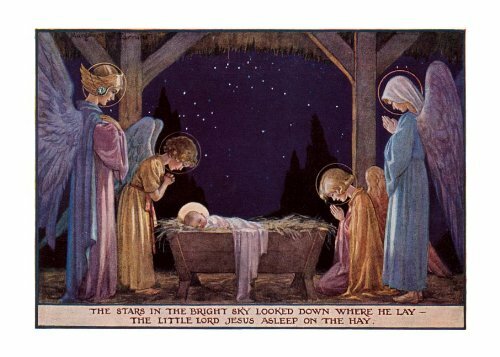 Remember, He was placed in a manger, which is a FEED TROUGH, because He is the True Food that comes down from heaven. His swaddling cloths foretold His burial shroud. Oh, and remember that Bethlehem literally means “House of Bread” in Hebrew, and literally translates to “House of Lamb” and “House of Meat” in Aramaic. Because the physical, substantial presence of the Body, Blood, Soul and Divinity of Christ in the Eucharist is foretold and proclaimed on pretty much every page of the Bible. Because without the Eucharist, the entire edifice crumbles into nonsense and people worshiping not God, but themselves. Here is one of my favorite pieces of music, which sounds like a lovely angelic lullabye to me. This entry was posted in Uncategorized on December 31, ARSH 2014 by Ann Barnhardt.